Do you ever get tired of those itty-bitty bedrooms in today's ranches? You've found your solution! An immaculate 2 story home located on a quiet cul-de-sac in Cornerstone! A 4 bedroom, 3.5 bath home with 3 car garage, first occupied in February of 2017! Start with the handy main floor study, progress to the living room boasting a fireplace, built-ins and large windows overlooking the lush, newly fenced backyard with decades old tree row, marvel at the bright island kitchen with Quartz counter tops, wood flooring & walk-in pantry! You'll love the back door "Drop Zone"! The second floor boasts a massive Master suite with luxurious bath and a 14' x 9'4 closet that will WOW you! Two over-sized guest bedrooms, a large loft, a giant laundry with wash sink plus an additional full bath complete this level! The finished basement offers a family room with stylish wet bar, the 4th bedroom, a full bath and a cute play house under the stairs that will entertain the kids for hours! The ample covered deck is a cool hangout on summer evenings thanks to the EAST backyard! Lawn watering is easy and efficient with the sprinkler and well! 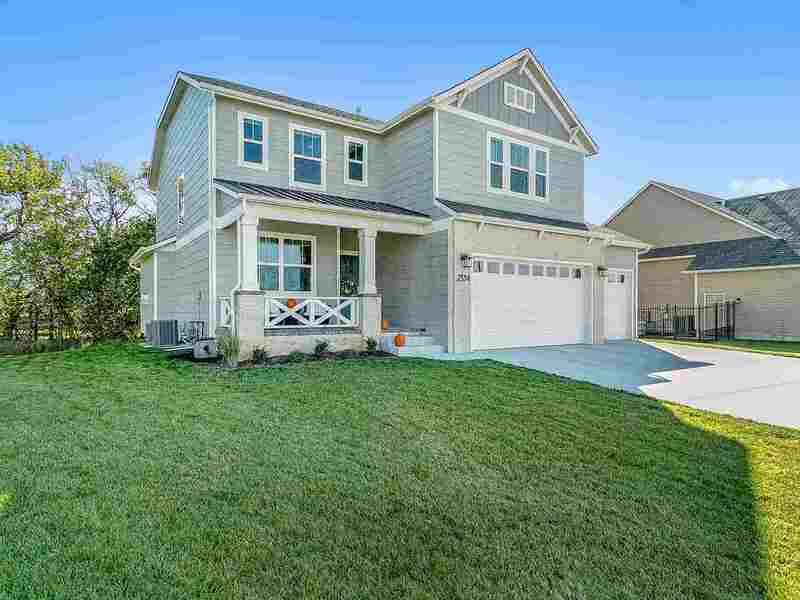 Don't miss this opportunity to snap up this nearly new gem on a great cul-de-sac lot in the Andover School District!